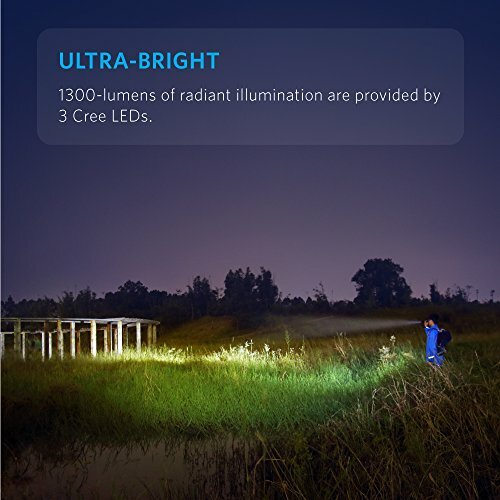 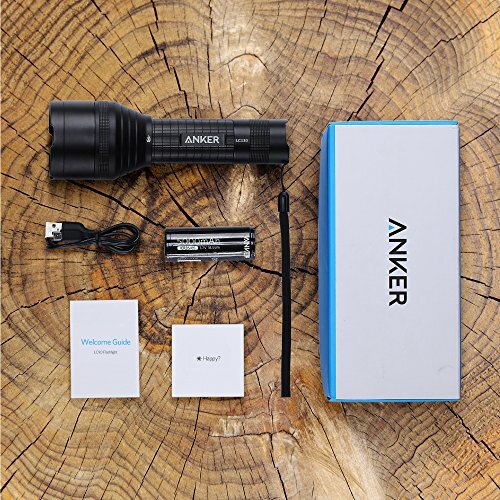 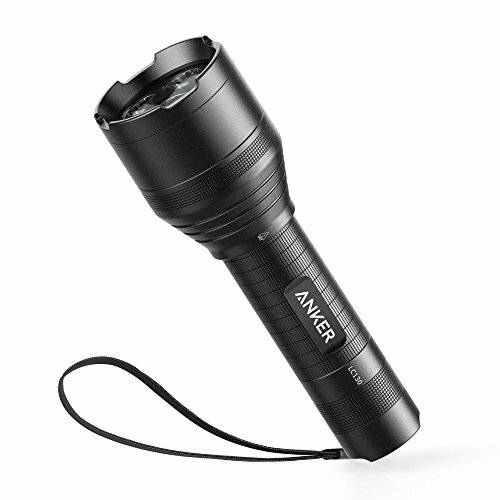 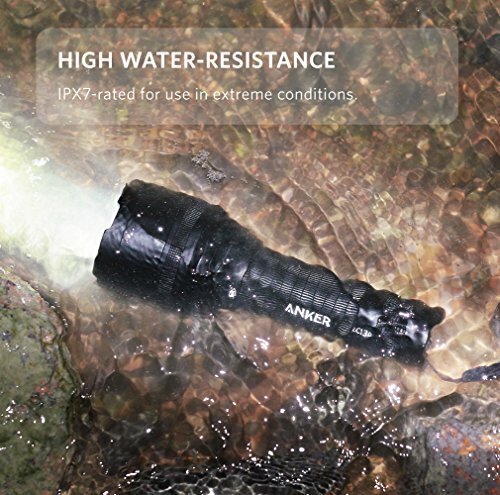 WHAT YOU GET: Anker LC130 Flashlight, 26650 Rechargeable Battery, Micro USB cable, wrist strap, welcome guide, and our worry-free 18-month warranty and friendly customer service. 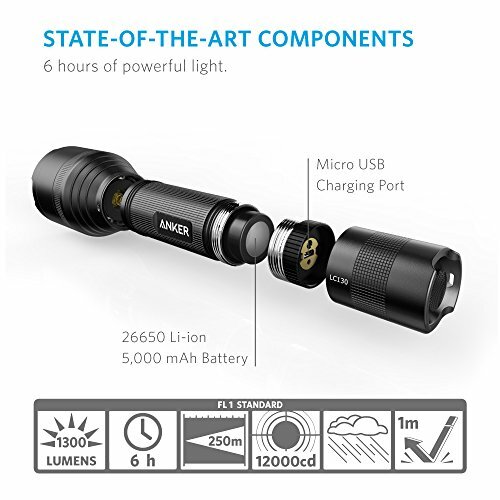 Anker's advanced battery technology that prevents over and undercharging, preserving the battery's lifespan..
energy-saving & less dazzling Low-beam, high-visibility Strobe, and emergency SOS. 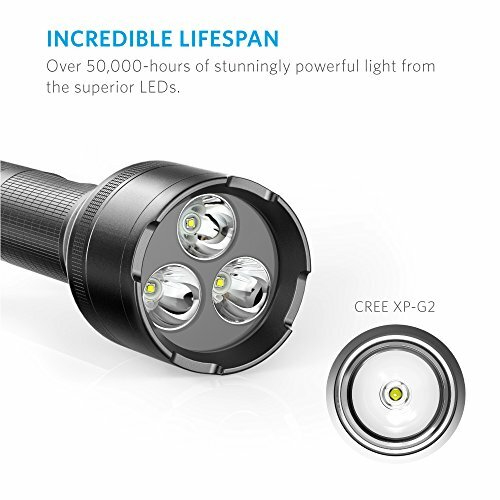 cable in 8 hours. 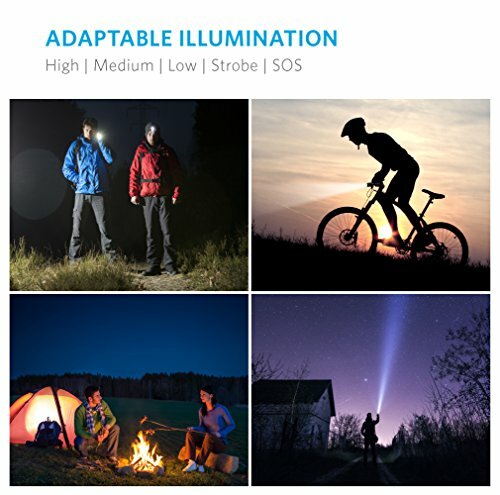 It's space-saving, simple, and safe.